Dazzle and Amaze with the December OwlCrate Jr. Box | YAYOMG! 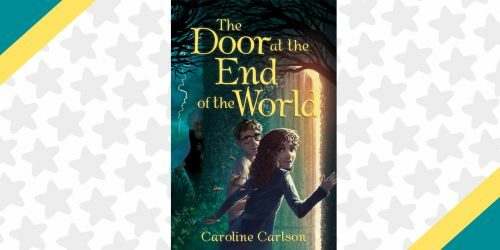 OwlCrate Jr. wrapped up 2017 with a big, magical bang! Like an epic fireworks display on New Year’s Eve, December 2017’s Abracadabra box was nothing less than pure magic. Inside you’ll find a dazzling read about a band of misfit magicians. 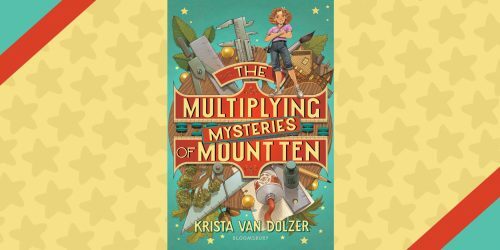 It’s exciting, magical, and full of friendship, adventure, and surprises. 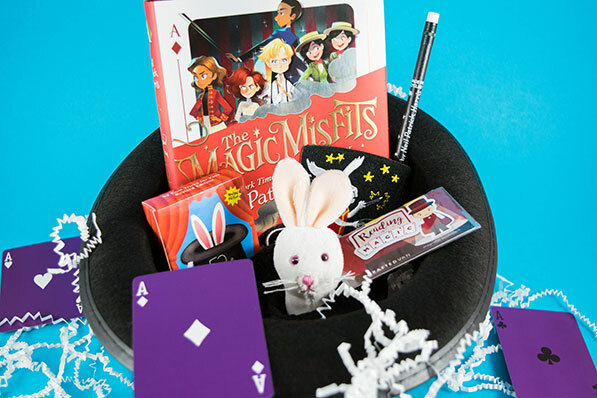 Since every good magician needs an assistant, and OwlCrate Jr. provides lots of goodies to assist you in your newfound love of magic tricks. A magician never reveals their tricks, but we’re about to reveal what came inside the Abracadabra box! Grab a deck of cards and a magic wand; you’re going to need them! Before we get started on our unboxing, we just wanted to thank OwlCrate Jr. for selecting us as reps for another three months! Sharing this box with middle-grade lovers and book-hungry kids has been one of the highlights of our year, and we can’t wait to help share what you’ve cooked up in your January, February, and March boxes! To our YAYOMG!ers, our discount code has changed. It is now OMG10, and can be used for a 10% discount for both OwlCrate Jr. and OwlCrate subscriptions. Yes, this book is written by THAT Neil Patrick Harris. The one who plays Count Olaf in A Series of Unfortunate Events, the voice of Prince Gumball on Adventure Time, and of course, Steve the monkey in the Cloudy with a Chance of Meatballs movies! This book is signed by the author in a magical golden marker! In addition to the new read, the author has included a hand-written letter and a spectacular magic wand pencil! Presto chango! This may look like an ordinary top hat, but it’s just an illusion. 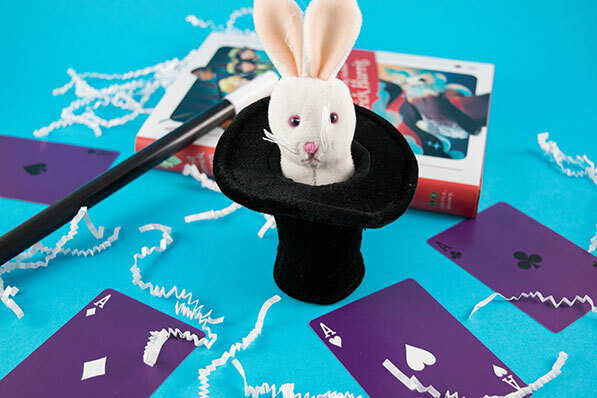 Stick your finger inside and out pops an adorably fluffy rabbit that makes a perfect addition to your next magic show. 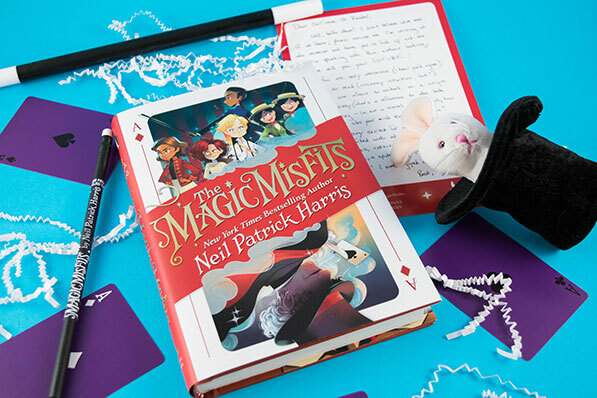 Whether you’re an expert illusionist, a magical misfit, or someone just starting out in the magic world, this deck of cards is a handy item to keep in your back pocket. 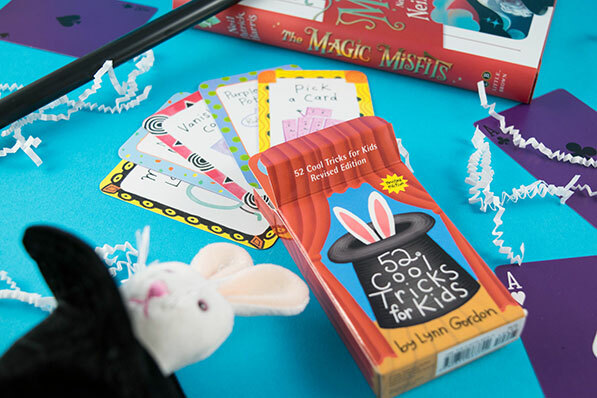 Each card features a different trick with instructions on how to do it so you can impress your next captivated audience. 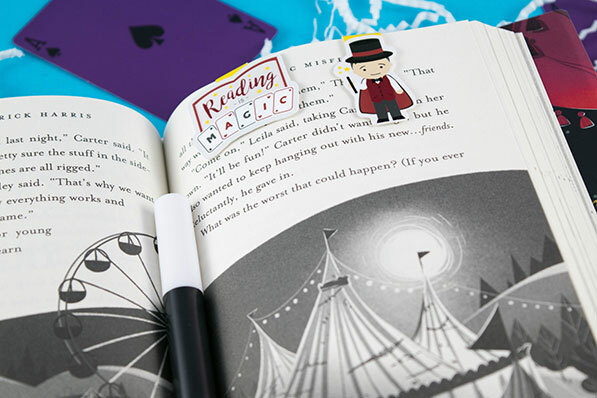 Never lose your place in this book or any other OwlCrate Jr. reads by using these magician themed magnetic bookmarks. They’ll hold your place so next time you curl up with your book, just wave your magic wand and “magically” know exactly where you left off. 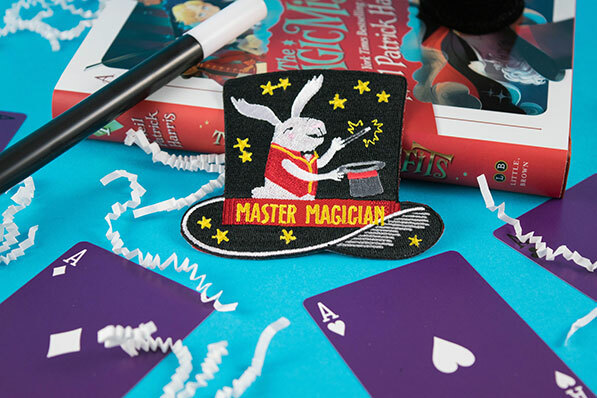 Once you’ve read The Magic Misfits and mastered all the tricks inside this box, it’s time to iron this super cute Master Magician patch. You’ve earned it! How will OwlCrate Jr. be kicking off the new year? In completely delicious style. 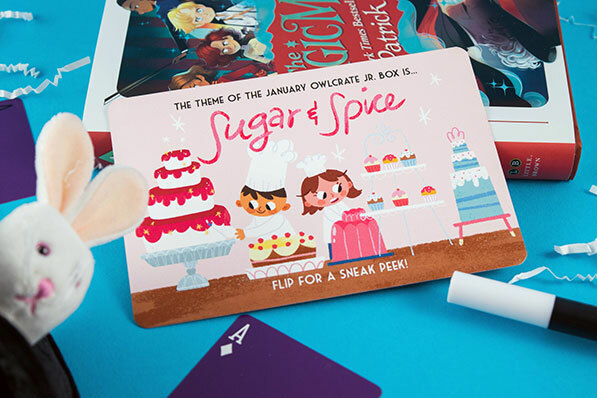 The January 2018 theme is Sugar and Spice, so we’re anticipating a baking themed read and a box full of goodies to get you in the culinary spirit! Consider us intrigued! We’ve got our cocoa ready for sipping when this box arrives in mid-January. Ready for a little Sugar and Spice? 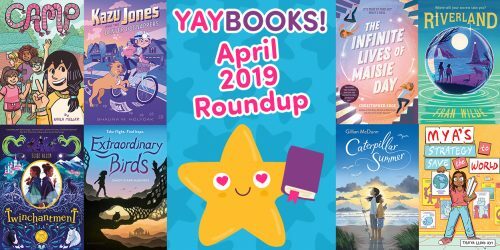 Grab a parent and head to the OwlCrate Jr. website! 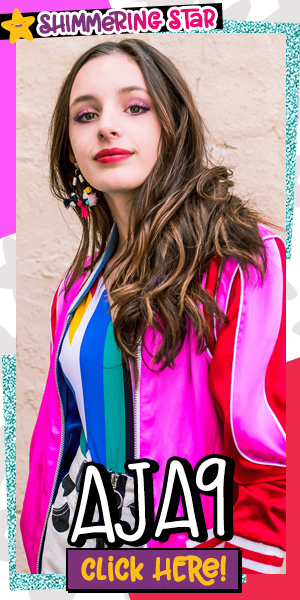 Don’t forget to use our code OMG10 for a 10% discount. Happy reading! Want to know what other subscriptions we love to unbox? Click here!